Gradually, we are building a network of like-minded organisations. Thanks to our partners in Hong Kong, Cambodia, DR Congo, Nepal, Laos, Madagascar and Philippines, more people and organisations get access to our financial education and microbusiness programmes. If you are interested in partnering and co-hosting our programmes in your country, please contact us. We focus on people and practical solutions to problems. Money is social: when we spend, save, invest or run a business, it impacts others; for us, a financial literate person is someone who does not harm others when managing money. Daughter of teachers and grand-daughter of an entrepreneur, Sophie’s vision is a world where financial hardships do not prevent children and adults from getting education and where money is a tool to grow our most precious asset: ourselves. 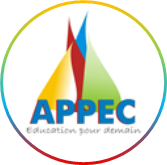 Sophie is a Chartered Accountant (DECF), and has a Master degree in business studies (Institut d’Etudes Politiques de Paris), a post graduate in finance and banking (Paris-Dauphine) and a diploma in Islamic Finance (CIFE, ETHICA). She worked in financial management and accounting in international corporations and NGO. In 2005, Sophie created a+b=3 to share her enthusiasm about education, and financial education in particular, and empower low income people to improve their lives. In 2007, Sophie co-founded Enrich a Hong Kong based registered charity empowering migrant women. 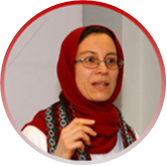 Since 2005, Sophie has facilitated training workshops in various places in Asia, Africa and the USA. Sophie has published three children’s books and she loves adding colour to a+b=3’s courses to engage all participants even those who hate numbers! To contact Sophie. Chhunny is a professional trainer on leadership and management, and Meditation Guru. He has a degree in Buddhist Philosophy with an English language major from the International Buddhist University (MCU) of Chiang Mai, Thailand. He also served as President of the Cambodian Students Association and Volunteer Teachers Leader at the International Meditation Center (in Chiang Mai). 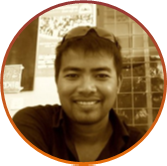 Chhunny is the Co-Founder & Training Manager at SmallWorldCambodia where he is responsible for peacekeeping, community & interpersonal communications, cultural preservation, philosophy and holds trainings for groups of students on personal development, team building, and youth empowerment. In parallel, he also works as Senior Trainer for PossibilitiesWorld, a company delivering Leadership Development and Management solutions. His own project, dharmatravelers, was formed to teach students and young people the importance of maintaining a balanced lifestyle (personal/family/business/community). He uses this model to guide his students towards self-empowerment to build commitment, self-belief and determination. Meditation is an important pillar in these teachings. This project will also work closely with the generation and their children severely affected by the Khmer Rouge period, and who still suffer from anxiety and recurring memories. His passion is to see young Cambodians live their dreams, goals and passions and to help them build inner-peace through true understanding. 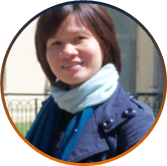 Phuong is an enthusiastic Project Manager with extensive experience in South-East Asia. She has worked in Vietnam, Cambodia, Philippines, Laos, Myanmar, India and France in various positions: marketing, training, management, strategy and planning. She has trained in a wide range of development-related areas: livelihood, family development, nutrition, microfinance, health and financial literacy. Phuong started her career in a vocational training school for disadvantaged youth in Vietnam and has worked for NGOs (GRET, Entrepreneurs du Monde). Phuong loves empowering trainers and supporting them so that training programmes have a full impact. Phuong has a Master in Project Management specializing in “Innovation and Entrepreneurship project”, (Nantes University, France) and a BA in French (Hanoi National Foreign Language University, Vietnam); she is fluent in French, English and Vietnamese and speaks basic Mandarin, Tagalog and Khmer. Phuong currently works as social development manager at Enfants & Developpement, in Hanoi.